Welcome to Business Machines (Digital) Ltd. Whatever the size of your business, we know we can offer you the very best from our independent range of office equipment. Most importantly, we offer the kind of after sales supplies and service you thought had disappeared for ever. We have developed a style that clearly differentiates us from our competitors and brings a new dimension to the products available to our customers. 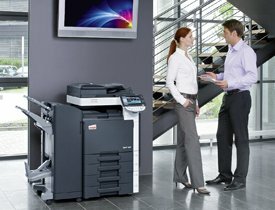 Based near High Wycombe, we are pleased to provide digital photocopier solutions in Bucks, Berks, Oxon, Middx & Herts – please see our Area Covered page for further details. We have taken positive steps to ensure that both potential and existing customers are treated with equal care. As a totally independent supplier, we are far more flexible in our approach – which will benefit your company – and our pricing structure allows us to target reduced running costs on new and existing equipment. Please browse this site and find out more about our extensive range of photocopiers and printers, then Contact Us to discuss your specific requirements. We are confident that we have the answer. All trademarks acknowledged. Develop is a registered product of Konica-Minolta (Europe) Ltd.
To discuss your digital photocopier, printer or multifunction requirements with no obligation, please call us on 01844 344775 during normal business hours. Copyright Business Machines (Central) Ltd. All rights reserved.